Henry Dwyer is keeping options open for talented sprinter Ability, an Aurie’s Star Handicap entry. Melbourne’s weather will determine if talented sprinter Ability takes his place in the Aurie’s Star Handicap at Flemington. Trainer Henry Dwyer said Ability was a 50-50 chance to run in Saturday’s Group Three race over the straight 1200m course. “It depends if we get any rain or not,” Dwyer said. After winning the All Victorian Sprint Final at Flemington last year, Ability went on to victory in the Bletchingly Stakes at Sandown 12 months ago. He’s failed to fill a place in three subsequent runs, all on firm tracks, and at his most recent outing finished at the tail of the field in last month’s All Victorian Sprint Final behind Camdus. “First-up he was OK but he was run off his feet over the 1000 metres then second-up he travelled really strongly into it and looked like he had plenty to give at the 200 but then didn’t stretch out,” Dwyer said. “We’ve been over him and there’s nothing wrong with him. “He’s a horse that’s had several issues previously. Whether he’s looking after himself because of those issues, I’m not sure, but I think he needs to get back on a track with some give. Dwyer has swung a change in the past fortnight, taking the gelding from his beachside training complex at St Leonards to his Caulfield stable. “Sometimes they live in the paddocks down there and they get a bit too relaxed,” Dwyer said. Dwayne Dunn, who has ridden the gelding four times, for two wins, including the Bletchingly Stakes, will ride Ability if he runs on Saturday. 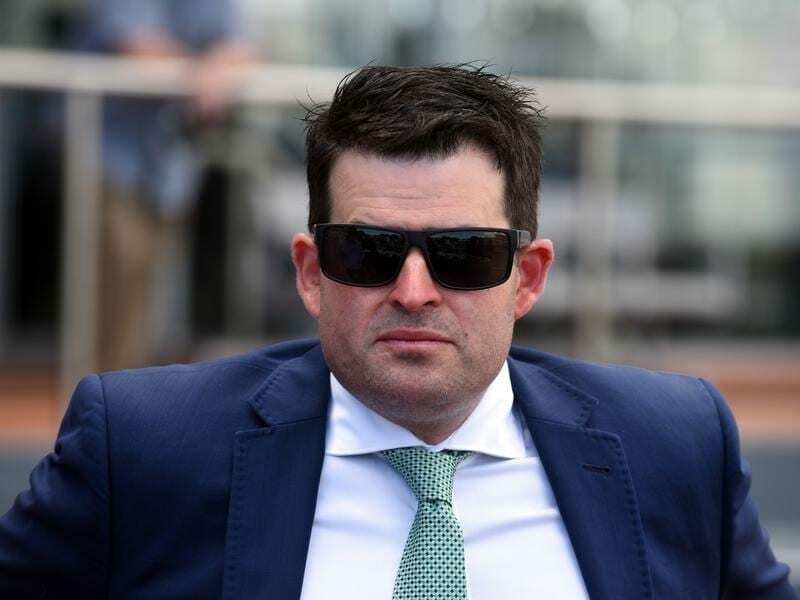 Dwyer said if the track was too firm then Ability could run the following week in either the Regal Roller Stakes at Caulfield or the Spring Stakes in Adelaide.